In a series of “Do you know?” articles you will gradually learn how the individual names of our electronic devices were created. In the previous article, you have already discovered the exciting facts about the Pavian electronic siren. Now, we tell you why our second largest siren Gibon got its name. 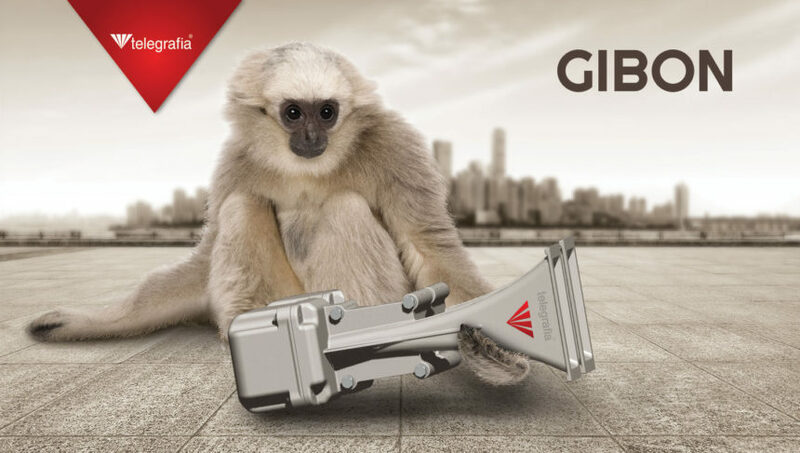 Gibon, which means a gibbon in English, is a small monkey living on trees all its life. This monkey has very long upper and lower limbs but has no tail. Despite having a small and round head, it is characterised by a highly developed brain, making it a smart animal. The monkey lives in South-East and East Asia, and it can be found in Bangladesh, Thailand, Malaysia, Indonesia, Vietnam, Cambodia, and China. You may ask, what do these monkeys have in common with our siren? Gibbons are the second loudest primates after howlers (lat. Alouatta). They have an enlarged throat sac, which inflates and serves as a resonating chamber. Their voices are so potent that they can be heard up to a distance of 1.5 km. The monkeys are strongly territorial, live in small troops, and they defend their territories with vigorous morning screaming. The typical properties of the monkeys and our electronic sirens have led to the naming of our second most powerful line of sirens after them. The Gibon electronic sirens are modular and cost-optimised (comprising small horns and plastic siren boxes) for smaller warning systems. Besides that, they can be used as stand-alone devices. Acoustically, the Gibon electronic sirens do not lag far behind the Pavian electronic sirens.